First of all, I should say how grateful I am to Angela for allowing me to be a guest here on Oh She Glows. There are blogs that I love for the recipes, blogs that I love for the fitness and/or lifestyle tips, and blogs I devour for the writing. What I love about Angela’s blog is the attitude: no one seems to put more care and thoughtfulness into her every word than Angie does. I hope that I demonstrate even a modicum of her consideration in my own blogging! Angie asked me to share a few words with you today about my raw lifestyle. For those of you who don’t know, I work as a raw foods coach and nutritional counselor in New York City; this is a fancy way of saying that I help people get started with eating more raw foods. I also write a blog called (aptly) Choosing Raw. I started the blog with a single goal in mind: I wanted to connect the raw and non-raw blogging communities. I had been living raw for a while, and while I enjoyed many raw blogs, I didn’t feel as though any of them made the raw lifestyle accessible to a mainstream audience; all of them, it seemed, were aimed at other raw foodists. What if someone could write a blog to unite raw and non-raw readers? What if someone could share their daily experiences in such a way that made clear to everyone—raw, cooked, vegetarian and omni—how easy the raw lifestyle can be? With that in mind, Choosing Raw was born. People stumble on the raw path for different reasons. Many are individuals who have suffered from acute health conditions—diabetes, heart disease, obesity, fibromyalgia, eczema and psoriasis, depression, etc.—and are seeking out a natural cure to their afflictions. Many are women who have exhausted every diet plan in an effort to lose weight and are looking for an end to the ups and downs. Others have suffered from disordered eating in the past, but have yet to find a way of living that makes them feel balanced. A great many are people who have suffered from digestive complaints, ranging from colitis and Crohn’s to IBS. You could say that I was an amalgam of these rawcurious types. I didn’t have any acute health conditions, but in spite of a vegan diet and years of relatively healthy eating, I tended to suffer from small, yet chronic health complaints: fatigue, common colds, cancer sores, yeast infections, and uneven moods. I also suffered from IBS, which had been a problem for over a decade (my IBS symptoms flared up at the tender age of 12). I had also suffered from disordered eating in my distant past, and while I can’t attribute my recovery to raw foods, I can say that my raw lifestyle has given me more joy in eating and more delight with my body than ever before. I grew up in a Greek family (I’m half Greek) where lamb and cheese were the order of the day. While my hard-working, single mom did her best to emphasize produce and healthy cooking at home, I remember some processed foods, too: ready to defrost stir fries, noodle or rice mixes, packaged cold cuts, puddings, and desserts, and Lean Cuisine. Most of all, I remember meat, and I remember not liking it. I can’t remember a time when the mainstream diet—especially meat—felt right to me. I believe that many girls who become susceptible to eating disorders feel disconnected from the prescribed way of eating in their lives; I believe this was definitely true of me. But when I tried to eat more healthily without an informed perspective, I quickly became overly restrictive. This is when I was about twelve. For years to come, I would struggle with deprivation and body dysmorphia. All the while, I battled IBS (irritable bowel syndrome). I routinely had to miss class during college because I was doubled over with cramping and bloating. This was true until two years ago, when I started to clean up my diet. I eliminated cow’s milk dairy and felt an immediate relief from IBS symptoms. I’d never liked eggs, and hadn’t eaten meat since the age of seven, so I now found myself a vegan by default—and it wasn’t hard to embrace the vegan lifestyle consciously and whole-heartedly. It was at this point that I began researching raw foods. Believe me when I say that I was skeptical at first. The fundamental premise of a raw diet—that preparing food without heating it above 117 degree, thus preserving vitamin and enzyme content and boosting digestive health—sounded truthful. But I’m an editor: I’m paid to be a tough critic. Somehow, I wasn’t yet convinced, and the fact that the mainstream medical community gives little credence to the claim didn’t help. (One of the many things I’ve learned since I went raw is that, oftentimes, the medical community can lead us astray, where experiential and intuitive knowledge can actually be more helpful.) I decided to try eating raw on an experimental basis: I figured I would see if I felt any better, and stop if I didn’t. Sometimes, seeing is believing. Within two weeks of eating raw, I had twice as much energy, bouts of euphoria, limitless stamina at the gym, more even-keeled moods, and rosy, glowing skin. I was shocked. I had never imagined that all the hype could be true. 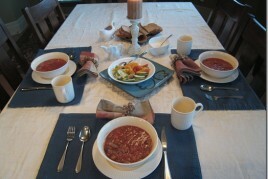 I had imagined it would be hard, if not impossible, to go without cooked grains, hot soups, and toasted bread. It wasn’t. I had never told myself I couldn’t have those things if I wanted, but I was surprised by my sudden lack of desire for them. In fact, I had never felt so happy with my diet. Since I started my raw journey, I’ve seen my IBS disappear. I’ve stopped having seasonal allergies. I no longer have menstrual cramps. I respond to stress less acutely than before; I’ll always be a workaholic, but the ups and downs of working life just don’t bother me as much as they used to. In short, I’ve experienced health improvements in every area of my life. And I’ve realized that when we feel better, we are better: feeling more energetic and healthy has also helped me to feel in balance emotionally, to project more energy to the people around me, and to pursue my professional and personal endeavors with a livelier spirit. Are you wondering whether it was hard for me to go raw? Probably. The answer is no, but I think there are a few reasons why I believe that my transition was relatively painless. First, it was a culminating step in a long journey from a mainstream to an entirely plant-based diet. I didn’t go from a SAD diet to raw foods overnight: I had been a vegetarian since childhood, then a vegan for several years. And since I favored lots of raw salads and soups in the first place, removing heat from my diet was not a radical shift for me; it was a change, sure, but not a total overhaul. Also—and more importantly—I approached my raw transition with a totally relaxed attitude. I always tell clients that “flexibility guarantees consistency”: if you hold yourself to impossible standards, you’ll inevitably find yourself caught up in cycles of so-called “good” and “bad” behavior. I’m not a raw foodist who takes pride in the “100%” label. In fact, I consider myself “high-raw,” not 100% raw, and I recommend this attitude to most of my clients and readers. When I want cooked grains, I eat them; when I’m craving baked potatoes or other root veggies, I make them. I eat raw nearly all of the time, but not when it doesn’t come naturally to me. 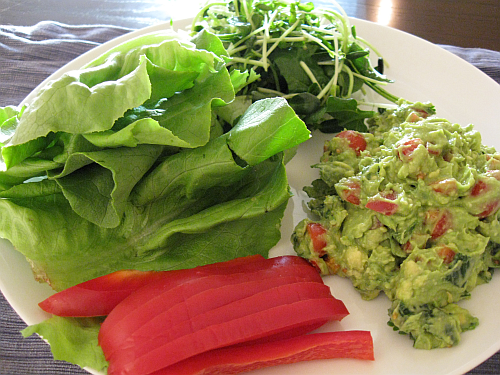 Eating raw should be liberating, not limiting. In fact, what I like most about my raw lifestyle is the freedom it has afforded me. In spite of the fact that “raw veganism” sounds confining to outsiders, I have an extraordinarily hassle-free attitude toward food. I eat what I want, when I want; I don’t count calories, food groups, protein grams, carbs, or anything of the kind. I don’t obsess over “balancing” my plates; I eat as intuitively as possible. And when this means eating generously, I do; as I am always reminding my readers who are concerned about the fat in avocados, I frequently eat two avocados in one sitting – followed by a sweet potato or two! (Of course, there are other times I’m satisfied with green juice for hours and hours at a time—it all depends on my activity levels and needs on a given day.) Most of all, I don’t have to spend time “cooking” in a traditional sense—no more hours of baking, broiling, and waiting for water to boil! It’s so easy for me to chop, dress, and go. A raw diet is like any other: one can eat healthily or unhealthily, wisely or recklessly. No piece of advice I can share with you is more crucial than this one. Most people begin eating raw the same way: they go out and buy a bunch of cookbooks, start making fancy and impressive recipes, contemplate investing 300$ in a food dehydrator, get totally exhausted, and sit around complaining about how “high maintenance” the raw lifestyle is. If any part of this description sounds like your experience with raw, I urge you: stop! I can’t stress enough how much getting caught up in complicated dishes will prevent you from enjoying raw life. Please, don’t begin with the complicated stuff: as you get started, stick to big, delicious salads, tasty blended soups, simple nut pates, dressings, dips, and veggie platters. 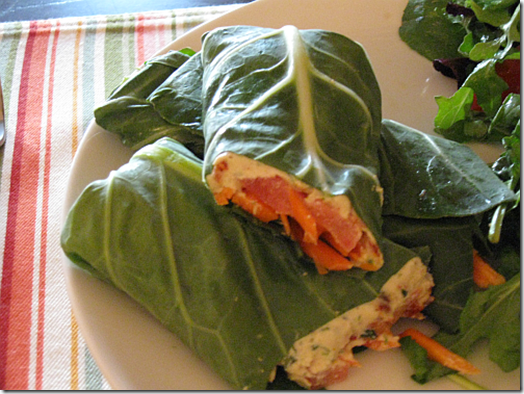 As you get used to eating raw, you can feel free to experiment with fancier recipes. But for the most part, try to eat as simply as you can. Don’t feel as though you need to plan all sorts of novel meals: if you’ve had a long day and it’s dinnertime, do what you’d normally do: improvise! Throw together a big, fun salad, or shave some veggies thinly and toss them with a dressing as a “pasta” dish. Naturally, it’s hard to improvise if you don’t have a lot of raw foods handy. So if you’re serious about eating raw, I recommend you stock your kitchen with lots of produce at the start of the week. This way you’re never short on greens or a rich assortment of veggies when you need to put together a meal. Meanwhile, try to ditch some of the stuff that you’d like to forgo on your raw food journey: canned veggies, frozen meals, whatever. The less you have hanging around, the less you’ll be tempted to eat them. The idea that eating 100% raw = 100% healthy is a fallacy. Sure, most raw foods are healthy, and so they can be enjoyed in generous quantities. But it’s just as possible to eat unhealthily on a raw diet as on other diets, and the most common mistake that newcomers make is eating too many foods that are tough to digest. This includes gallons of nut butters and dried fruit, heavy desserts, and dehydrated burgers, pies, and cakes. These foods are absolutely fine once in a while, but if eaten all the time, they’ll clog up your digestion and weigh you down—the very opposite of the lightness and energy you want to feel on a raw diet! Think of it this way: would eating burgers and cookies and pies every day in your normal routine make you feel your best? Probably not. Chances are, the raw versions of those foods won’t, either. Don’t approach raw trying to replicate the “treats” you wish you secretly covet in a regular diet (cookies, pizza, etc.). The raw options of these foods may be an upgrade, but they’re not a surefire way to thrive. Instead, eat easy to digest foods (produce, vegetable juices, greens, fruits, avocados, coconuts, root vegetables, and nuts and seeds in reasonable amounts). And try to eat simple combinations: don’t eat a giant plate of nuts AND avocados AND roots together! This is another good way to slow down digestion. Simple combinations are optimal. And if you’re torn between a light, digestible cooked food (some steamed or grilled veggies, for instance) and a heavy, fatty raw food? Go with the former! It’s not a failure to eat healthy cooked food; oftentimes, it’s the wiser choice. One of the first things I remind my clients is that they need to think for themselves. Another temptation with starting a raw diet (as with any diet) is to seek out a guru, program, or book that will magically tell you how best to eat. I wish it were that easy: no plan or resource can tell you what’s best for your body. Part of the work I do with clients is a game of trial and error: it involves finding the best combinations and foods and practices for their bodies. I know some raw foodists who are nearly fruitarians (i.e., they eat almost 100% fruit) and feel great; I know others who can eat a pound of nuts in one sitting and go jogging after. Some raw foodists can eat complex food combinations; I, personally, have to eat simple combinations to fell well. It all depends on who you are. Avoid gurus. Avoid magic plans. Avoid trendy cleanses. Think for yourself. Use trial and error to find a raw plan that works for you! On that note, Angela has asked me to share three recipes that typify my style as a raw chef. I’ve chosen my three most popular recipes, which conveniently happen to be my favorites, too. These all have one thing in common: they’re more templates than recipes, per se. This is how I like to conceive of all my recipes: as foundations for variation. I’m a busy working girl, and it’s never easy for me to put aside cooking time. I need recipes that are simple, fast, and lend themselves to many kinds of dishes over the course of a week. Each of the recipes below fit the bill. The recipe could not be simpler: whip up a batch of guacamole, and serve it however you want. You can eat it with crudités, in lettuce wraps (butter lettuce and romaine leaves are great for this), or scoop it atop a giant salad. 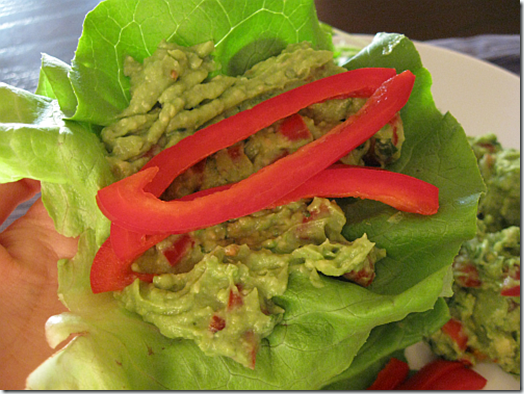 If you double or triple the guacamole, this is a wonderful recipe to entertain with. I love having friends over, putting out a huge platter of butter and romaine leaves, crudités, and guacamole, and letting my guests assemble wraps. I like my guacamole tart and sweet, and without red onion. But I onion could be added if you like a more traditional flavor! Begin my mashing the avocado and lemon or lime juice with a fork, till it’s mushy but not entirely without texture. Add the rest of your ingredients and mix again. Voila! This has quickly become a Choosing Raw classic! I never expected such a sanguine reaction, but Heather, Shelby, and many others are quickly becoming raw cashew cheese fanatics (even my lovely intern, Bennett, has been using this cheese in everything from veggie platters to ravioli). It should come as no shock, though: this recipe is fast, simple, and ridiculously rich-tasting, yet totally healthy. 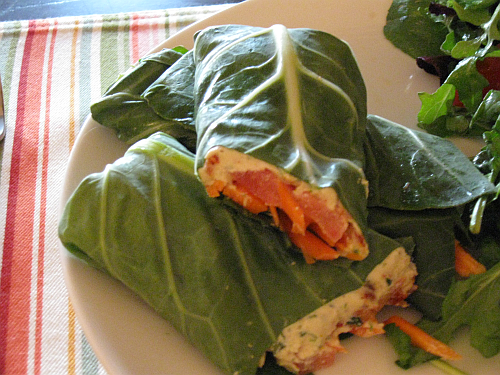 Stuff it into collard wraps (as pictured above), serve it as a dip, layer between tomato and zucchini slices as a “napoleon,” or just devour it with a spoon! Throw nuts in a food processor and process till ground well. Add salt, lemon juice, miso if using. Scrape sides of bowl and run processor again, this time drizzling some water in. Keep doing this until the cheese reaches the consistency you like. I aim for mine to look like ricotta. Add tomatoes and basil and pulse until they are well combined into the cheese. Enjoy! If I’ve achieved anything, it’s introducing the blog community to the joy of veggie pasta! 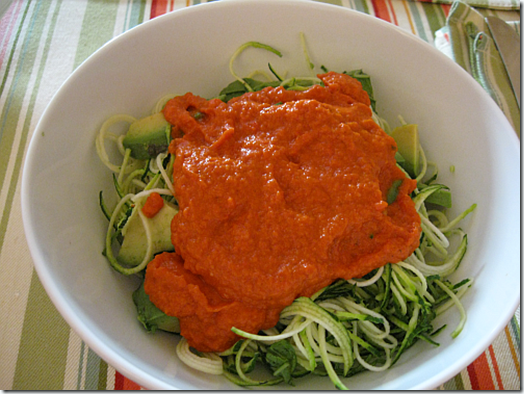 With only a vegetable peeler and a zucchini, you can make “pasta” dishes that are raw, delicious, and grain free! And zucchini pasta—like it’s traditional counterpart—is quick and versatile. 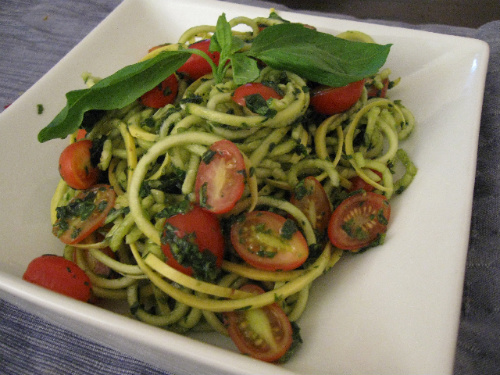 To make this dish, it’s super helpful to have a spiralizer. This magical little kitchen tool lets you turn zucchinis, beets, carrots, sweet potatoes, jicama, and more into thin, pasta-like strands. 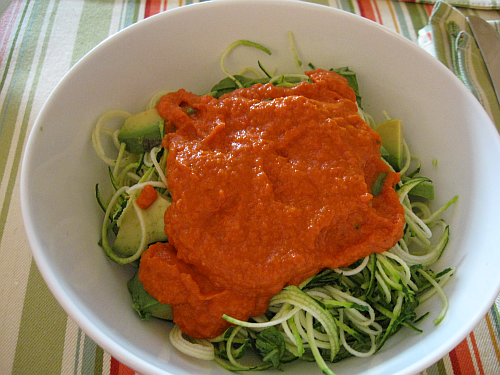 You can use the spiralized veggies as a pasta base with any kind of sauce: raw or regular tomato sauce, pesto, or the alfredo I used last night. I recommend a spiralizer because it’s cheap and fun to use, but if you don’t have one, fear not: slicing the zucchini thinly with a peeler or even grating it will be just fine, too. Blend all ingredients in a high speed blender till thick and smooth. 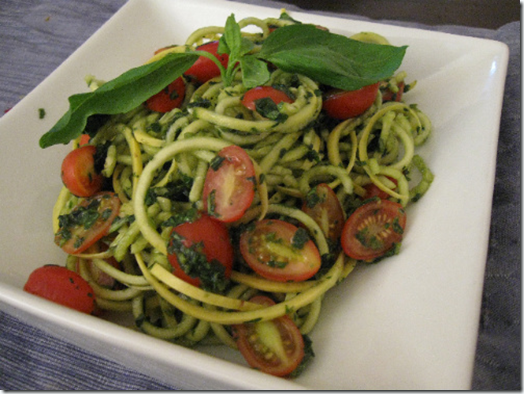 Serve over spiralized or thinly sliced zucchini, and enjoy! Another great thing about this sauce? You can serve the pasta with raw nut-meatballs (like these), chunks of avocado (which is how I prepared my bowl), or any other mix-ins. Or with my cashew alfredo sauce (recipe on Choosing Raw). No matter what, I urge you to get friendly with veggie pasta. It’s a wonderful way to make satisfying, fun raw dinners. I hope this post has given you all some inspiration in the raw direction! Naturally, Angela has already done that with her incredible raw treats and dishes, and I know she’ll continue to inspire you all with more of them. If you’re looking for more ideas—or if you’re interested in working with me to get started on raw foods with my coaching—please check out my blog! Weekend Fun Even Without the Sun! Your insight and expertise are wonderful, as always! Love your writing style, so direct and passionate without coming across as wordy or patronizing at all. 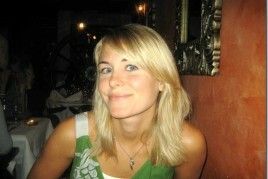 Thanks for your lovely post:) I will enjoy learning more about the raw diet through your blog. thank you so much for the guest post and for being so honest! i love that you encourage, above everything else, the importance of thinking for yourself and keeping things simple. those are such crucial tips and i appreciate your positive attitude! Gena, I really love how you are able to give all of us so much information and you really have a passion for what you do! Thanks for the recipes – I will absolutely be trying them! Can’t talk…off to go make more Pizza Cheese! Great post Gena! I love reading your blog. You are always so full of helpful information and encouraging advice. I can’t wait to try the recipes. yum-o! these look great gena! Eating raw should be liberating, not limiting. Anyone know how many servings the cheese recipe makes? Let me preface this by saying that I’ve never made a raw meal in my life, well except salad and I just made the raw cheese and it’s delicious! I was disappointed to read this article on stevia. 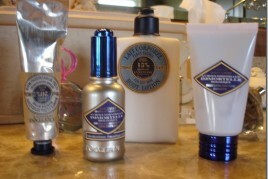 It may be very harmful! Thanks so much for sharing your recipes, Gena. They all sound fantastic! 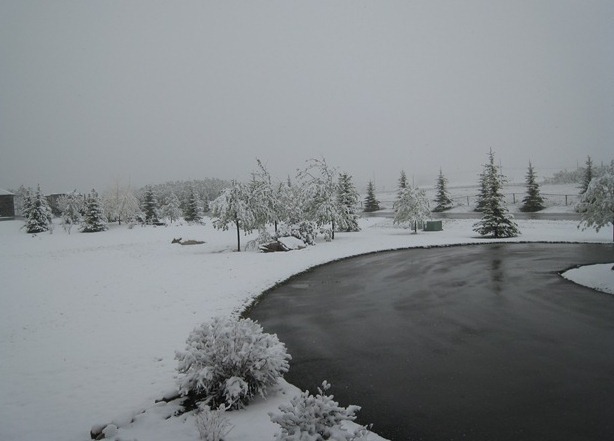 Previous post: Weekend Fun Even Without the Sun!